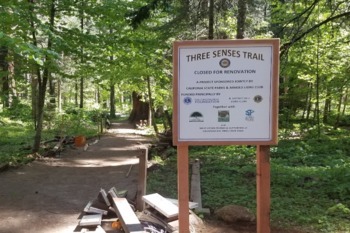 In the final days of June, California State Parks announced that the organization has begun rehabilitating the Three Senses Trail, or “Braille Trail.” Located at Calaveras Big Trees State Park, the Braille Trail was commissioned in 1976 for the blind and the visually impaired; the update will include the addition of new interpretive stations. The Arnold Lions Club and the Calaveras Big Trees Association (CBTA) are working with California State Parks on the project, which is scheduled to be completed in 2019. We offer several programs to help improve the lives of people living with blindness. SDCB can give you, or a loved one instruction on reading and writing Braille.